Herons are coming to Severna Park! Learn watercolor at Gallery 564 when Raye of Light Studio brings you their watercolor workshop. 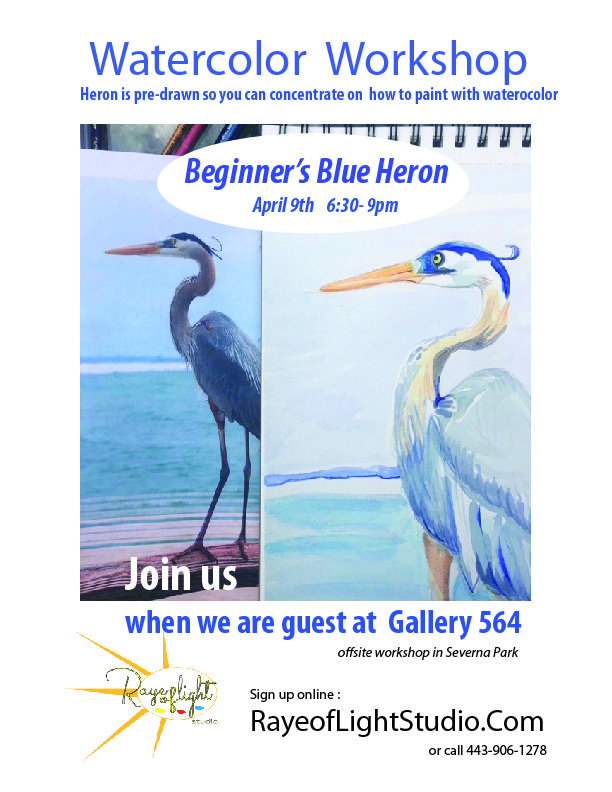 Be introduced, in the setting of Gallery 564 , to what watercolor is, how it moves and how to paint your own pre- drawn blue heron. You will practice before you paint! All materials and instruction included during this 2- 2.5 hour class .